LEED V4 officially launched in November 2013, with more specific and deep-delving strategies for designing energy-smart and efficient spaces. LEED V4 is designed to provide a more holistic approach to sustainable building design with improved environmental outcomes and market sector improvements. This shift in focus for LEED V4 includes incorporating energy and water monitoring solutions to measure the effectiveness of energy efficient technologies. 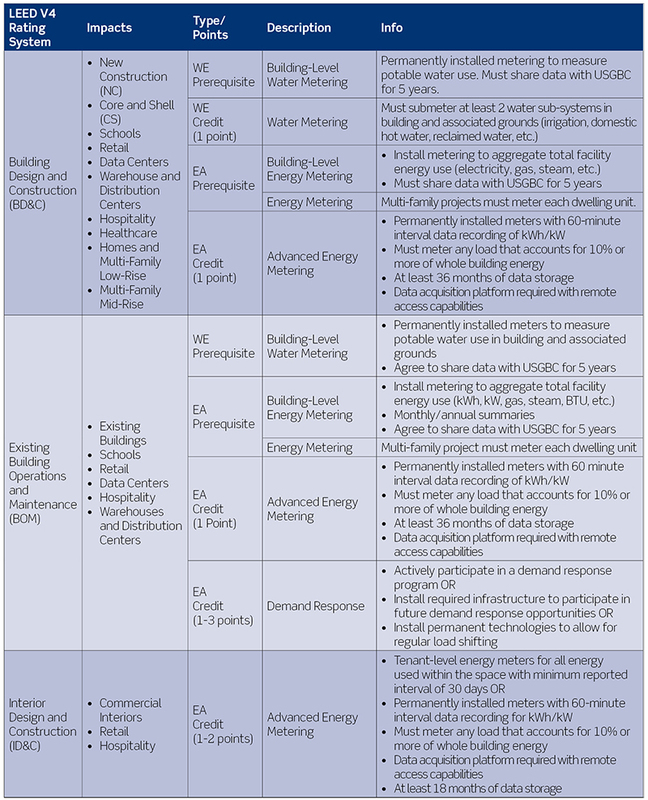 What are submetering point eligibilities in LEED V4? See below for more details on LEED V4 metering points. VerifEye Submetering Solutions provide everything your project needs to earn LEED V4 metering points including meters, communication solutions and BMO 3.0 web-based software which includes a Code Compliance Module, specifically designed for LEED and other code requirement projects (including IECC, ASHRAE 90.1 and Title 24). Create a scalable solution for any sized LEED V4 project or application. 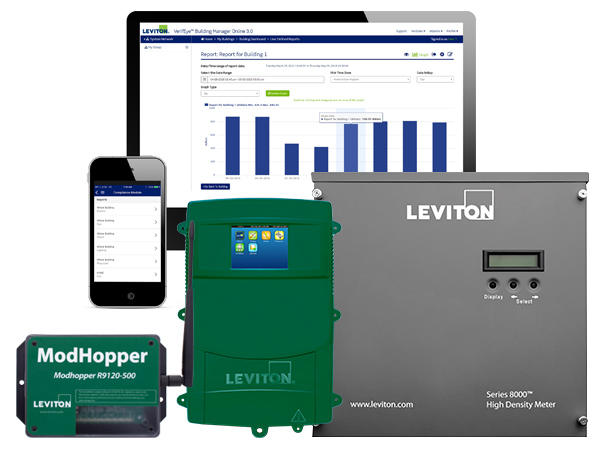 Visit Leviton.com/verifeye for product information and contact Leviton to help design your LEED V4 points-earning solution.